A prestigious cruise ship arrived on time at a Florida port - after thruster problems forced it to miss a stop. The technical difficulties caused the Carnival Legend to slow down and miss its scheduled Grand Cayman Islands arrival. 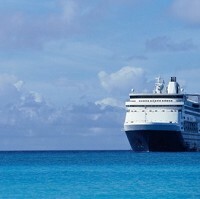 With this in mind, taking out cruise travel insurance might give sea travellers peace of mind. Carnival spokesman Vance Gulliksen says the ship arrived at about 7am on Sunday in Tampa, and passengers were off the Legend by the usual debarkation time of 10.30am. Carnival stresses in a statement that the Legend's safety systems, steering and services on-board are functioning normally. Mr Gulliksen said Legend was expected to depart on time on Sunday afternoon (March 17) for its next trip at a partially reduced pace - and with one schedule change. He said the ship, which was officially named by actress Dame Judi Dench last year, will stop at the closer Costa Maya port in Mexico rather than Grand Cayman.